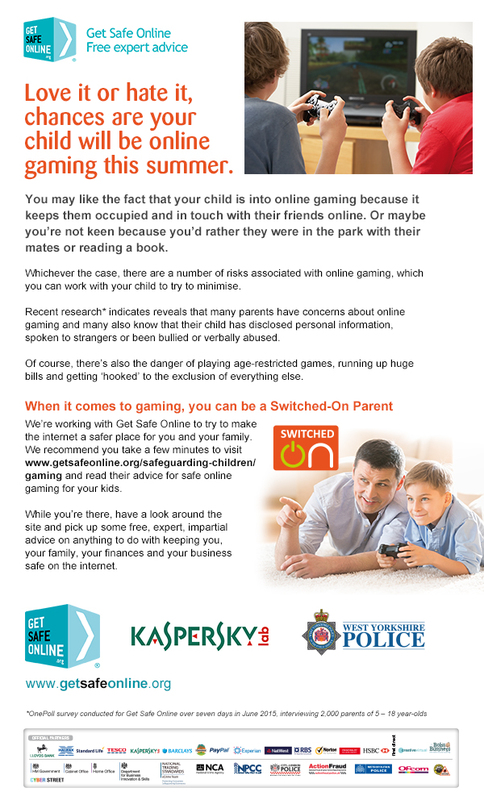 Get Safe Online, the public private joint internet safety initiative, today (20th July 2015) revealed more than a third (37%) of parents feel like they have no control over their children playing online games. In addition, more than half (51%) worry about their safety when it comes to gaming online. 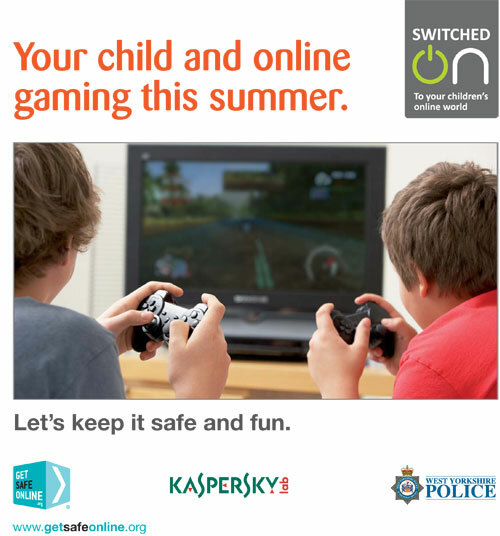 This summer holiday, a significant number of children will be picking up their tablets and consoles to embark on a six week marathon of online gaming. According to a survey of 2,000 parents with children aged 5 – 18, nine in ten (91%) parents say their kids play games online. While the majority of parents say they limit the amount of time their children spend online gaming, a third (34%) admit that their child plays at least once a day. The most popular device to game on is tablets, with three in five (62%) parents stating their kids use these devices to play. This was followed closely by mobile with 47% of children using their phones to play games. This mean’s a child’s online activity is often out of their view. The online gaming sector is continuing to grow at a rapid pace, yet despite this surge in popularity, the community remains unfamiliar to many parents. Nearly a quarter (24%) are unaware of the online security risks for their child when it comes to online gaming, whether they are playing with their friends or within a virtual world. This ignorance can be dangerous, particularly when a quarter of parents (25%) know their children who game have disclosed personal information while playing online against other players; a third (34%) have spoken to someone they don’t know; and more than a quarter (28%) have developed friendships within the online gaming community. Additionally, 16% of parents are aware online gaming has been used as a platform for their child to be bullied or verbally abused. This could be even higher in reality as youngsters do not necessarily always share their online experiences with their parents.